There are certain foods that I grew up not really liking as a kid. Chili was one of those ones that I didn’t really love. In fact I didn’t really love a lot of dinners simply because it was a meat-heavy world and at the time I didn’t care for the dense flavor and texture. Everything felt rough and dry. Perhaps that’s why I loved (correction, love) carbs. That’s one reason why we all love carbs. They’re sweeter, flakier, softer. Now though chili is one of my favorite foods. It’s easy; oh-so-easy! And it’s nutritious! Plus it does remind me of my childhood, so what’s not to love and enjoy about that? 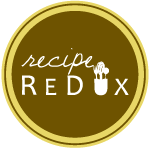 This chili recipe has spice and warmth and when you add your fixin’s it’s got the crunch, the creaminess, (those carbs and fats) that we all may be wanting or needing! With anything in life it’s all about balance. With food and nutrition, it’s the same; balancing not only nutrients (especially nutrients like proteins, fats, carbs) but also textures & colors. Mixing chewy with crunchy and creamy. Combining various colors like deep hues from browns and reds with brighter oranges, yellows, and greens. In a large pot, add the meat, onions, and garlic. Brown over medium heat, until the meat is fully cooked. There shouldn’t be much fat in the pan, but if there is you can wipe it away with a paper towel if desired. Add the remaining ingredients, cover and bring to a light simmer. Let simmer, stirring occasionally, for about 30 minutes to an hour. It can be ready to go as soon as everything is heated and combined together. But if you are using it later, just let it stew and simmer on low for hours. Vegetarians/Vegans: Make a vegetarian/vegan version by removing all the meats, and simply using various beans: white, black, red or kidney beans, pinto, chili, lentils, etc. Sodium/Salt watchers: if you can’t find can’t find no salt added beans, really thoroughly strain and rinse the beans. Picky Eaters: I blended the tomato products together before adding it to the meat and beans. This is for my hubby who doesn’t mind tomato flavor, but does not like the chunky texture. You can add other veggies like cooked squash, carrots, mushrooms, even eggplant to this process to bump up the nutritional value and sneak in more veggies. As easy as it is to throw all these ingredients into the pot, this is a great slow cooker recipe! It’s fabulous to make ahead for the holidays (Halloween or Thanksgiving week), large gatherings, or simply tossing together before running out to an event with the kids. It also a fabulous freezer friendly meal that can be gifted to an older loved one, families with new babies, or a friend going through a hard time. I think that’s another reason why I love it so much. It’s comforting and can be such a special gift for someone you’re thinking about. So just remember, just because you don’t think you like something, you might try it again. And try it in a new way.! You’d be surprised how your taste buds have changed and adapted over time. This is a continual process we need to become familiar with to enhance our palates and prolong our success with eating better. What are your favorite foods now that you didn’t like so much as a kid?